This was the second leg of my trip home from Cape Town, South Africa. 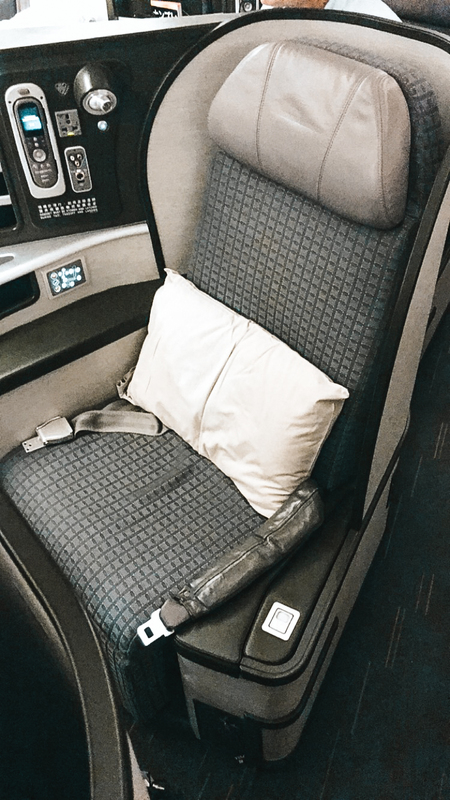 Check out my reviews of other flights I enjoyed on this trip with Lufthansa and South African Airways. Check out my instagram to follow stories from flights like this as they happen! This flight was the last leg of my trip to South Africa, helping me accomplish an east bound lap around the earth. Despite several other fantastic redemptions and flights on this trip, I was most looking forward to my flight with EVA. I had heard such good things! 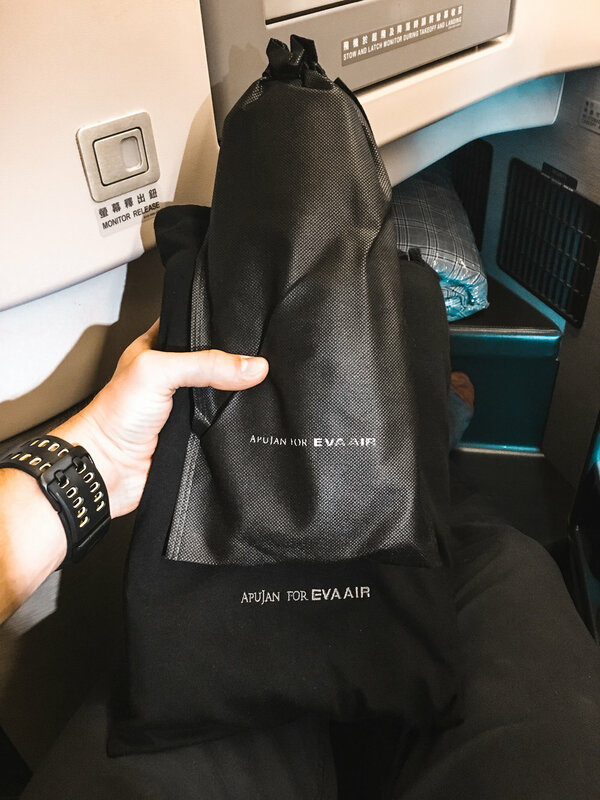 The day before, I had boarded a flight from Johannesburg to Hong Kong with a short layover before continuing to Taipei on an EVA A330 from Hong Kong. 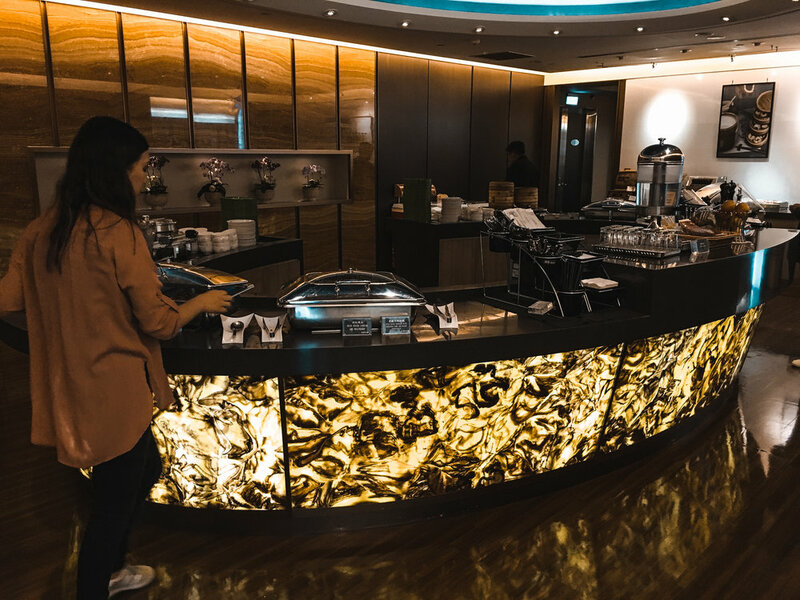 I landed at TPE just after 5pm and made my way to The Star Business Class Lounge. 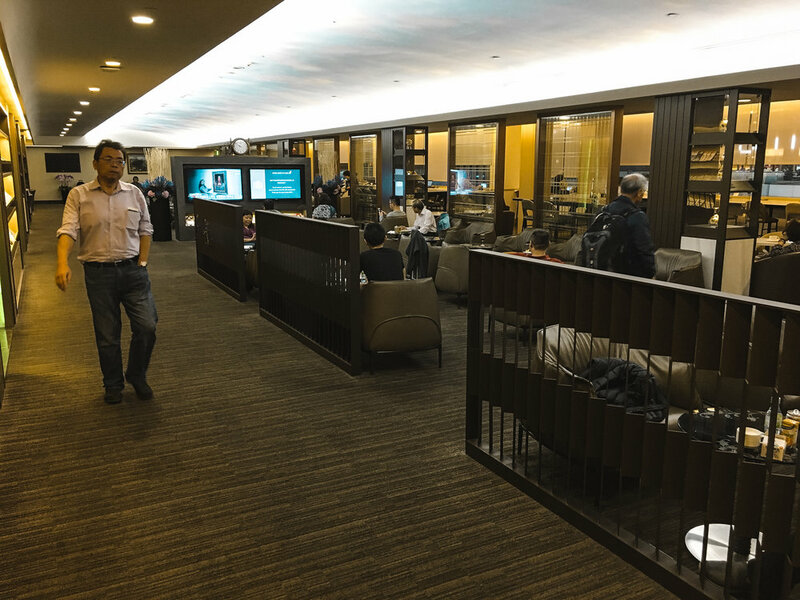 EVA operates a number of lounges at TPE, so many that I was nearly overwhelmed, but The Star lounge was great and a nice place to spend my roughly 6 hr layover in Taipei. 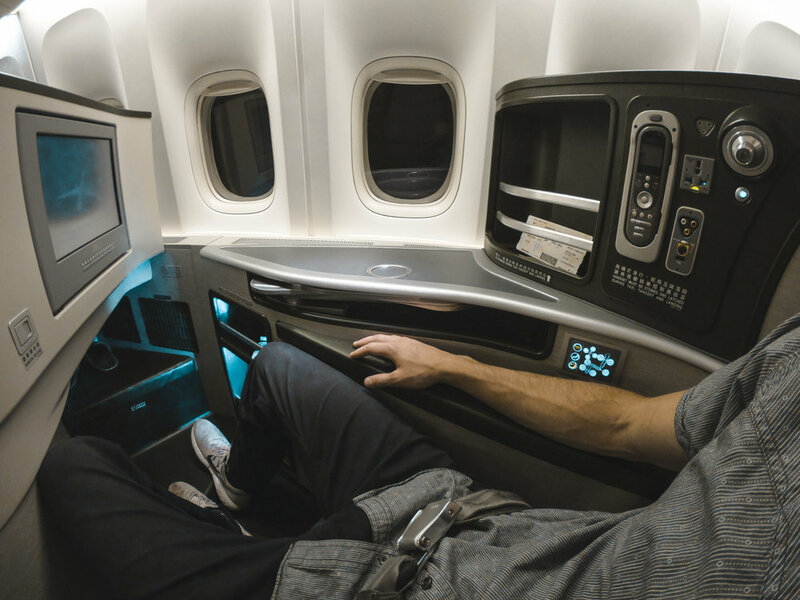 Boarding began on time and passengers seated in business class were invited to board first along with Star Alliance Gold, and top tier members of EVA's own loyalty program. I was in seat 5K at the back of the forward business class cabin on the right side of the aircraft. When I arrived at my seat, the amenity kit, pajamas and slippers were already waiting for me. A welcome drink was offered shortly after I sat down, orange juice, champagne and water were the options. I always choose champagne to celebrate the fact that I am alive and able to order champagne. Seat: There was nothing special—per se—about this actual chair, but I really liked it. The foam was not too firm or soft, the head rest was functional while seated and comfortable while sleeping. The upholstery was soft. It's well thought out and I am always amazed how many seats aren't. To the right there is a standard 110V outlet, USB port, headphone jack, reading light and seat controls. Storage: The reverse herringbone seats used by EVA have a lot of storage. I value this tremendously, because seats which are lacking in this department require you to get up frequently to access the overhead bin, or to create some kind of hoarders paradise by stuffing your belongings into every nook and cranny you can find around the seat (such as on South African's A340s). Not the case here, there was a nice compartment next to the seat controls for headphones, chargers, and misc. devices, a larger cubby by the knee for shoes, laptops and reading materials, and enough space under the footrest to stow my backpack. There's also a small cubby under the arm rest which worked nicely for one of my lenses that I planned to switch out. Comfort: The seat itself is very comfortable in both the seated or sleeping positions and this is also aided by the cozy bedding provided by EVA. They provide a comforter in a flannel duvet that manages to have some weight to it without being too warm. Because I procrastinated on writing this report, I can't remember if there were personal air vents or not, but the cabin temperature was perfect and I don't recall vents. Finally the pillow was bigger and more plush than many of the cheap foam filled pillows you find on planes, I slept really well and the flight went by way too fast. Amenities: EVA provides pajamas and slippers to their business class passengers along with the standard amenity kit, made by Rimowa. The amenity kit featured an eye mask, socks, chapstick, face moisturizer, hand cream, toothbrush and toothpaste, ear plugs, a comb, and microfiber cloth. The pajamas were very comfortable and I changed into them to sleep. I love when airlines provide slippers as I like to remove my shoes as soon as I sit down, but also abhor the idea of leaving the seat without something on my feet. These slippers were comfortable enough to leave on for the duration of the flight and were good for walking to the bathroom. Service and Meals: Many of the Asia based carriers are known for their outstanding service and EVA is no exception. The cabin was completely full on this flight and the crew was working hard to ensure everyone was cared for, but I never had to ask for water and the meal service was done at a nice pace without being rushed or too drawn out. EVA is notable for serving Veuve Cliquot Champagne in business class (and Krug on flights to CDG and JFK) , an expensive choice that often sells for upwards of $50/bottle. Such high quality alcohols are typically reserved for first class on other airlines. Dinner started with an amuse bouche and was followed by the main. I had a steamed Chilean sea-bass fillet which was excellent. Tons of flavor, not over cooked. In an attempt to be as thorough as possible with my review, I did order both desserts (a tough decision, but again, in the name of the review). The fruit was actually pretty bad and the ice cream wasn't much better, but this is suffering I was willing to endure for the sake of the review. After dinner was over, the crew kept my glass full of Veuve and also passed out Fiji water before dimming the cabin lights. At the back of the cabin was a self-serve bar with more wine, waters, and a few snacks for those eager to do their own thing. I went to bed, slept about eight hours, and woke up to catch the sunset as we passed over Southeastern Alaska. Around this time, the crew came around to serve the pre-arrival meal. Many airlines will make this meal a breakfast type offering, thought EVA decided to go with something between lunch and dinner. It started with a cheese and charcuterie arrangement like you'd find at European breakfast stations, but finished with ravioli. It was good, but didn't feel like the right thing to be eating since my last meal was dinner only several hours earlier. This is really my only criticism and I realize this particular issue is a matter of personal preference. Final Thoughts: Since my last flight with Turkish Airlines, I haven't gotten off of a business class flight and thought everything had been done so perfectly until this flight with EVA. EVA's seat is also considerably more private and features a ton more space than Turkish's seats on their 777-300, so in a hypothetical head to head, EVA is the clear winner. The food was great, I slept well, the service was warm and attentive, and I got a lot of work done. That is a winning combination and ultimately what I am hoping for when booking business class seats. I can't wait to fly with EVA later this year on my honeymoon, this time from LAX to Taipei.